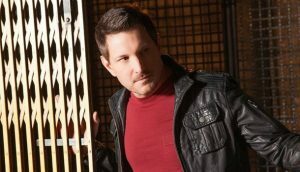 Greg Shapiro, in Houston’s LGBT monthly magazine Out Smart, interviewed country singer Ty Herndon. Herndon just released a new album, House on Fire (BFD/Red), the first full-length album he has released since coming out in November 2014. In the course of the interview, Mr. Shapiro mentioned Jeff’s book Country – in particular, the dedication. Gregg Shapiro: Ty, gay writer Jeff Mann recently had a novel published titled Country [Lethe Press, 2016] about a gay country artist’s coming-out experience. One of the book’s dedications reads, “For country music stars Ty Herndon, Chely Wright, and Billy Gilman, who had the courage to come out.” What does hearing something like that mean to you? Ty Herndon: Number one, I want to read the book. Number two, when anyone calls you out for something you have done in your life and you’re just on a journey to be authentic, to live in your own skin better, man, it makes you feel extremely special. I always say that any time you’re making huge steps in your life, [you] need lots of hugs to feel special. [Laughs] Because when you’re out there on that journey and you feel like you’re alone, I don’t think you get as much done. Any kind of accolade like that, when somebody calls you out, really touches my heart. It’s greatly appreciated.